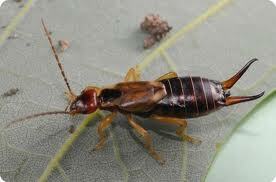 Earwigs are nocturnal feeders they seek dark damp tight areas for daylight shelter. This often forces them into cracks and crevices around homes. From there they find there way into our homes. Most in home intrusions happen mid to late summer due to the higher temperatures. bodied insects, such as aphids. important part in helping to reduce the population of earwigs in and around the home. You can inquire at (208) 733-0800 or by filling out the form at our Order Servicespage. Contact Cook Pest Control to be your home or business insect exterminators. We also handle rodent control, animal removal or exclusion and ALL your pest control needs in the most effective and responsible way possible.